Argao Cebu is famous for it’s delicious Torta. When in Argao, we roamed around and found Chitang’s Torta and Bakery main store. Upon seeing, I can’t believe my eyes. Imagine their products are all over in department stores and food stalls but their main store is just about a size of three people spreading arms. I remembered the original store of Kentucky Fried Chicken in one of my visits to US, it is small one, you can’t imagine that they have big chain stores and are scattered around the globe. It was even the home of General Sanders where KFC started. 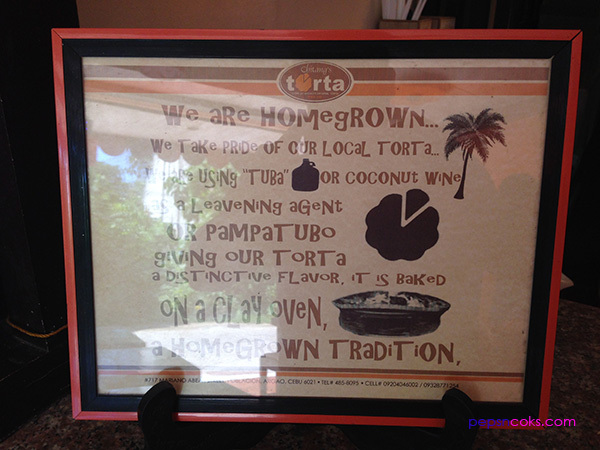 Same to what we saw with the home of original Chitang’s Torta, it simple, small but strategically equipt enough for all the tools needed. Though there is not much table in place, you will just go there and take home your orders. Chitang’s Torta and Bakery is located near Argao Church. You can ask tricycle drivers to drive you to Chitang’s to get pasalubong. Chitang is not only selling torta by the way, there are several varities in the line.